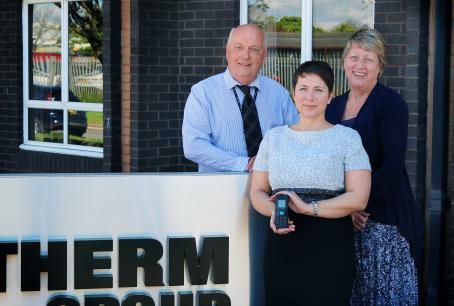 Worcestershire telecommunications company Armstrong Bell has forged an alliance with the Midland’s office of a leading global induction furnace manufacturer after winning a three-way competitive bid to replace its deteriorating telephone system. Droitwich-based Inductotherm was keen to appoint a local company to undertake the wholesale replacement of its 25-year-old telecoms system and was so impressed with Armstrong Bell that it asked it to transform the telephone system at its sister company, Electric Melting Services (EMSCO), in Sheffield. She praised the Armstrong Bell team for carrying out a complex job, which included moving the entire cable and cabinet system to the computer room, in double-quick time, minimising disruption to the company. “We were dreading having major downtime issues and no calls coming in or going out but those fears were not founded and everything went very smoothly,” she said. Will Copley, managing director of Armstrong Bell, said: “Being local to Inductotherm gave us the edge but it was also the fact that we go out of our way to understand a customer’s needs, rather than trying to upsell.